Brianna Paxton is invisible to guys. They don’t see her, or talk to her, or even give her a second glance. That is life for Brianna. Until one night, when her long-time crush, Blake Williams, discovers what Brianna really is. It’s up to Brianna and Blake to put an end to the life-long feud that threatens to destroy their own lives, and the lives of all they hold dear. I found Brianna to be quite an interesting main character. She has no idea what is going on with her life, only that it is changing at an incredibly fast pace, and no one seems to know why. Except for Blake, who knows what is going on, but isn’t very helpful at giving her any information in the beginning. We are definitely kept in suspense as we wait to find out exactly what is going on! The relationship between Brianna and Logan was a bit frustrating at first. I was honestly beginning to worry that I wouldn’t like Blake because of the way he treated Brianna. Always pushing her away, and even using her at one point. Luckily, we do find out his reasoning for this, and the relationship does chance about halfway through the book. The storyline for the book was very interesting. I have enjoyed quite a few books lately that have dealt with Greek Mythology, and I just can’t seem to get enough of them. This book is definitely no exception. The pacing was very well done, and the book held my attention for a lot longer than I expected it to. Overall, I really enjoyed this novel so much more than I expected to. The fascinating characters mixed in with the Greek Mythology really makes for an excellent read. Be sure to check this out! I love Greek Mythology and I had this one on my radar since quite a while! It#s always amazing when an author manages not only to develop the main characters but also the secondary one and makes you care about them too! I'm sold straight away for Greek Mythology but awesome review hun. Greek mythology and fascinating characters, count me in! Thanks for the great review, I'm sold! I'm not a fan of pushy, overbearing guys so I'm glad to hear that Blake and Brianna's relationship changed part way through the novel. 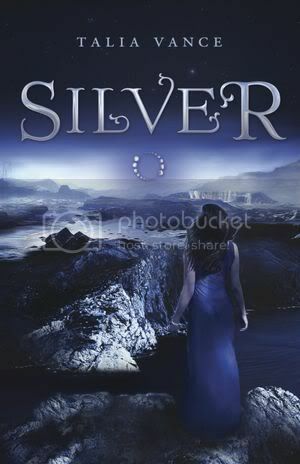 I'm loving the Mythology aspect and I can't wait to see what Silver does with it. Ooh, this sounds really good! I hadn't heard of this until now. Definitely checking it out on Goodreads now. I'm really glad you liked this. :) Love green mythology mixed in with YA. Hmm, I just read a review which was the complete opposite of yours. You make a good case for the book, I'm undecided now, where before I was totally turned off. I thought this was celtic mythology is that the same as greek? I get so confused with this mythology stuff.